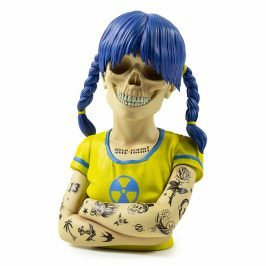 Oh, Schnuchoms! 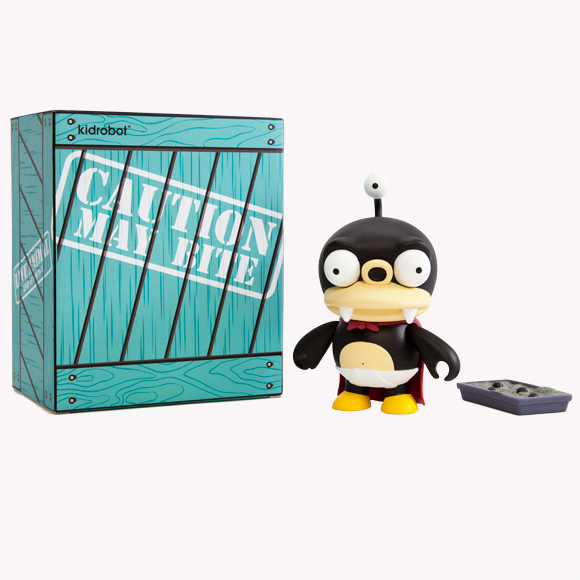 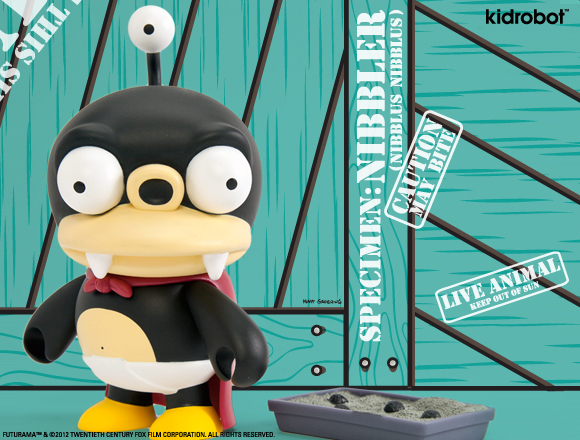 With his adorable vinyl exterior, Nibbler masquerades as the cute unintelligent pet of Leela, captain of the Planet Express ship in Matt Groening’s celebrated television series, Futurama. 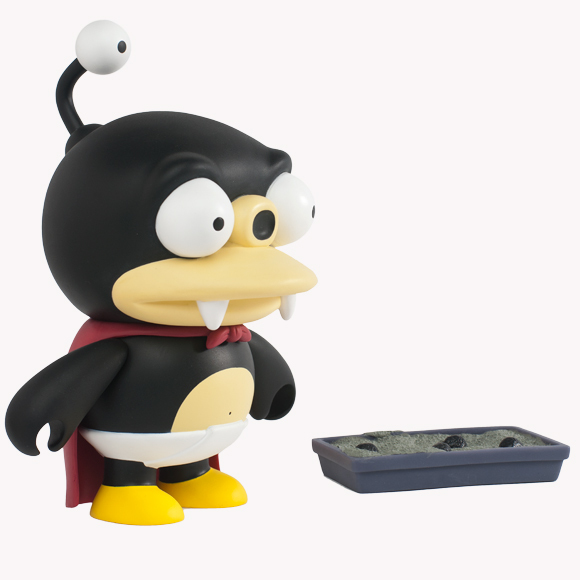 Standing 6-inches tall and dressed in a dashing cape and smelly diaper, you’d never suspect Nibbler is really an undercover, highly intelligent being on a mission to protect the planet Earth from evil Brainspawn! 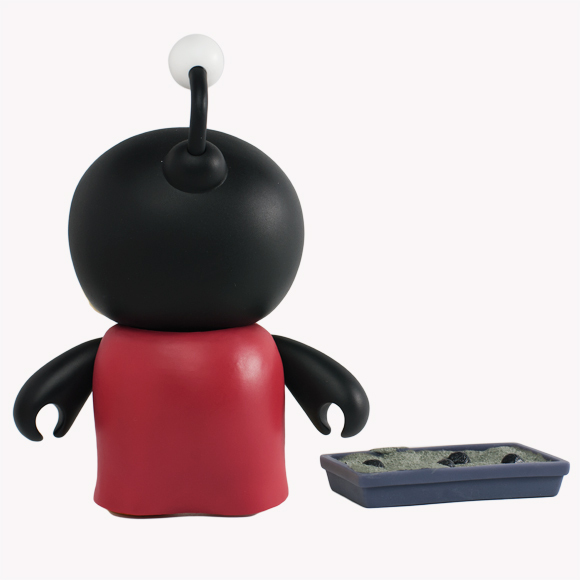 Paired with a tray of kitty litter to catch his powerful poo (Nibblonian excrement consists of super-dense dark matter, suitable for use as starship fuel), Nibbler is coming to save our small planet on September 20, powering a few spacecraft along the way. 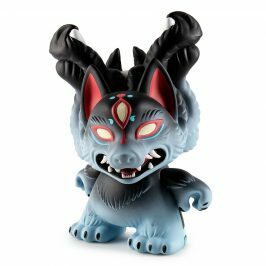 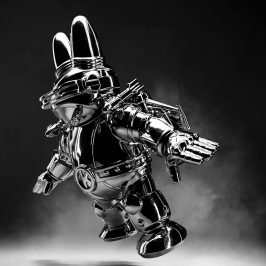 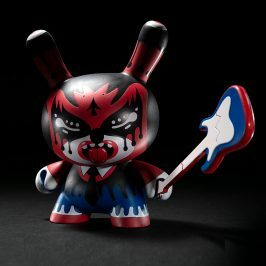 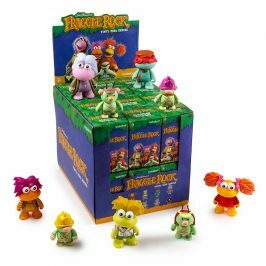 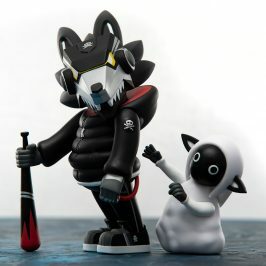 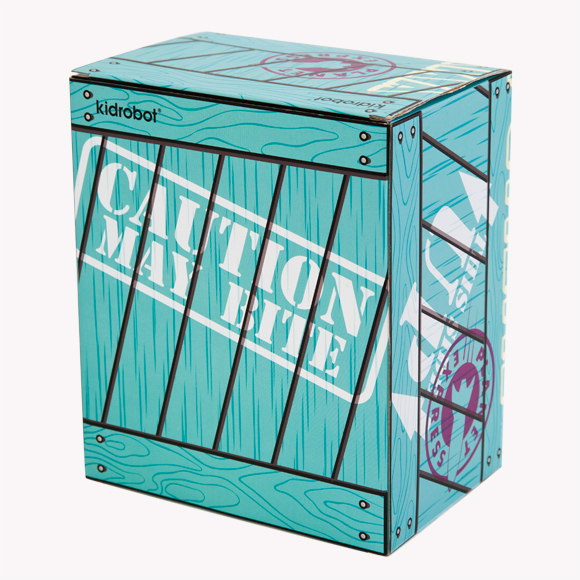 Landing at Kidrobot stores, kidrobot.com, and select retailers for $50 US (£40.10 UK, €46.50 EU).